x Written by Maurice Ravel. Arranged by Mark Stagg / Brian Higgins. "Wild Fruit Harder Mix" edited by P & J Hywood. 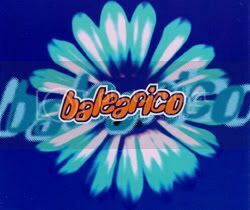 x "Balearico" is built on and uses the melody of the orchestral piece "Boléro", written by the composer Maurice Ravel (listen).